We’ll focus on three major sources of data that are used in various degrees for irrigation scheduling support. My premise here is that these data sources have not remained static but have indeed improved significantly over time. Caleb Midgley | Iteris, Inc. In the first installment of this three-part blog series we began to dive into the numbers from the USDA Farm & Ranch Irrigation Survey from (2013). In particular, we took a look at the sobering adoption numbers for what one might call “precision irrigation scheduling” techniques. These techniques included well-known methodologies such as soil-moisture sensing, evapotranspiration (ET) based scheduling, and spectral techniques. Overall, we saw that what worked in the 1990s seemed to be sufficient for present-day irrigation scheduling operations. But let’s not beat this dead horse shall we? In part one I promised to look at some rays of light when it comes to irrigation scheduling. In particular, we’ll focus on three major sources of data that are used in various degrees for irrigation scheduling support. My premise here is that, just like the information delivery technology of the 90s, these data sources have not remained static but have indeed improved significantly over time. Okay, I’m biased here as I have a meteorological background. 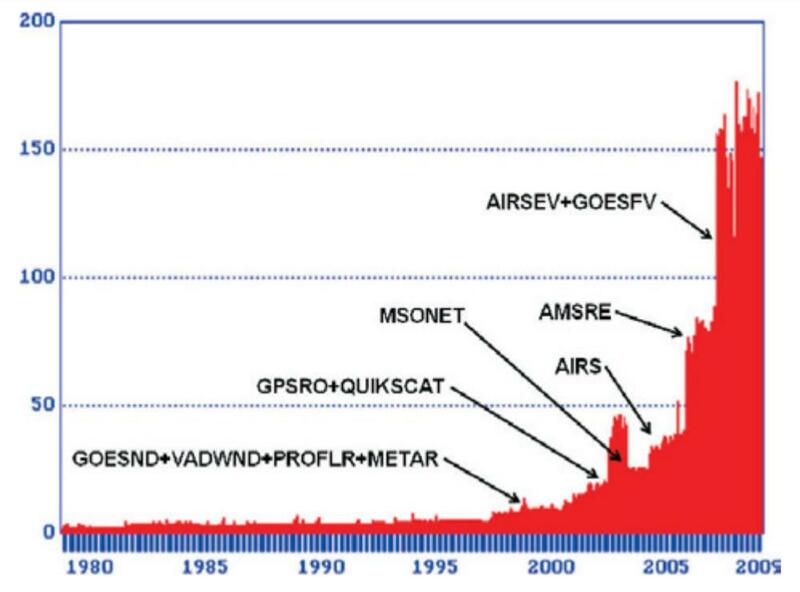 But if we can objectively step back and look at how far the meteorological sciences have come in the past 20-30 years, it is fairly breathtaking. The atmosphere is a chaotic system, making it inherently unpredictable after a certain amount of time. And yet, those five-seven day forecasts are getting better and better. What gives? Let’s start with the data. Observations Abound. A chaotic system is characterized by small input errors subsequently becoming big errors over time. That being the case, there is always an emphasis on getting better input data when it comes to atmospheric modeling and prediction. Additionally, we all know about microclimates. Just because the airport 10 miles away is above freezing does not mean your orchard is safe, especially if the terrain varies between the two. Fortunately, we are seeing more and more data inputs, both from public and private data sources. Figure 2 shows the increase in data ingestion for the Climate Reanalysis System run by NOAA. Basically, it creates a historical atmosphere that is continually updated over time. Quite a ramp up in the last 20-30 years wouldn’t you say? In 2009, you’re looking at over 150GB of data ingested per month and I’m quite sure that number has increased in the past 10 years. In addition to surface observations, you’ve got satellite, radar, wind profiler, weather balloon, and aircraft data being ingested, to name a few. This is important because the better your inputs, the greater your accuracy in time. These same types of inputs are used in today’s numerical weather prediction models and at greater volume/coverage. Which leads us to….. Figure 2: Diagram illustrating CFSR data dump volumes, 1978–2009 (GB month−1). Source: The NCEP Climate Forecast System Reanalysis. The accuracy of 500 hPA features, which captures large scale ridges/troughs in the upper atmosphere, improves by 1.5 days lead time every decade. In other words, the five-day forecast today of upper-level troughs and ridges is as skillful as the two-day forecast was in 1999. Even more relevant to irrigation scheduling, precipitation forecasts had a predictability gain of four days over a 15-year period. So the five-day precipitation forecast today is as accurate as the one-day forecast was in 2004. Those are pretty heady numbers and should create significant confidence in tools that utilize a forecast component in addition to historical data to develop irrigation recommendations. In addition to the substantial improvement we are seeing in assessing what’s happening above the soil, we are also advancing quickly when it comes to the happenings below the soil surface. Those same advanced data assimilation and modeling systems talked about in the previous paragraphs are also coupled with land surface models (LSMs) that solve the physical equations for energy and water transport beneath the surface. If given the right inputs, the results are impressive. 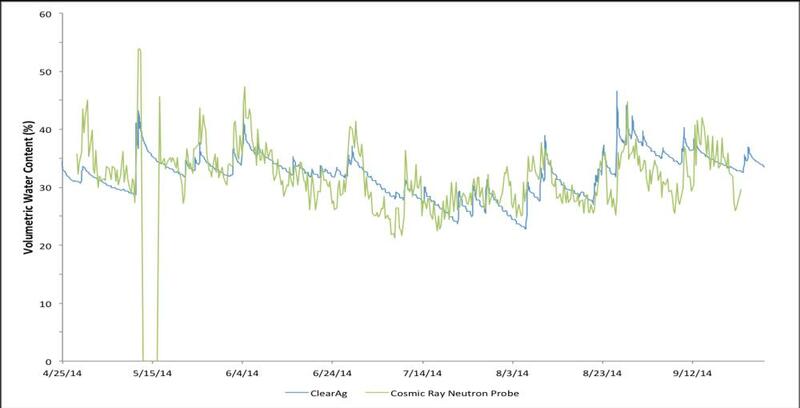 Figure 3 shows the results of such an LSM in comparison to a soil temperature sensor and a cosmic ray neutron probe for soil moisture. 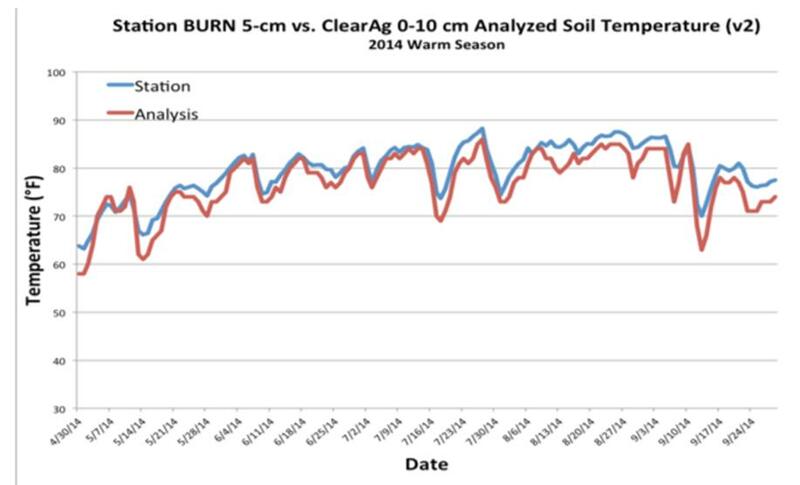 Additionally, as soil moisture probe data becomes more available for ingest via Internet of Things (IoT) systems, it is easy to see how the addition of that data to LSMs will only increase the skill over time as model output for fields near a probe are calibrated with such ground truth data. Finally, to truly take advantage of good meteorological and soil data, you need to understand how it interacts with the crop in your field. Knowing this will lead to better irrigation recommendations. One approach to this is the use of crop models. A wonderful quote comes to mind from the great statistician George Box: “Essentially all models are wrong, but some are useful.” And he’s absolutely right! Every model is an approximation concerning the way nature behaves, but that doesn’t mean the approximation has no utility. Indeed, as these models get better, so does their utility. Generally crop models have been based on growing degree units (GDUs) in the past and these are still stalwarts in the modeling world. However, new technologies such as neural networks are leading to the ability for crop models to be generated for a specific location and variety taking into account much more than GDUs. 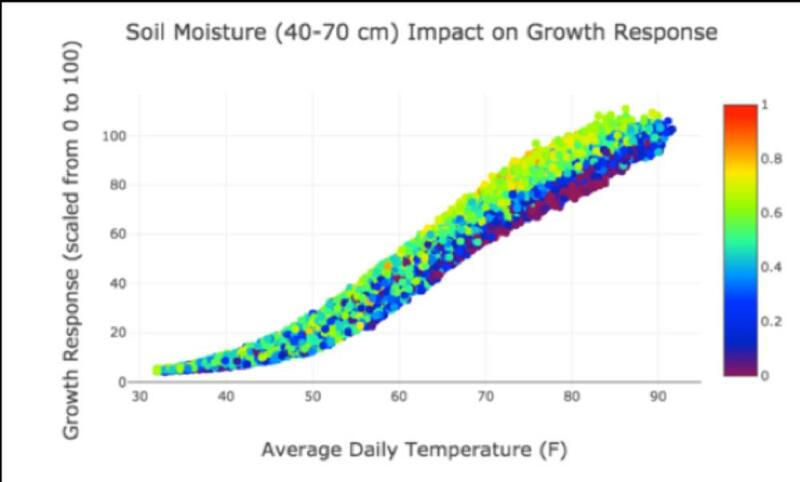 Figure 4 is an example of such a model, which looks at soil moisture and average daily temperature as an influencer on growth stage prediction, not just GDUs. Figure 4. Growth stage neural network model. The 90s were great, but almost 30 years later innovation in the meteorological, soil, and crop modeling space has marched ahead with fantastic results. If delivered in a manner that is proven useful to agricultural producers, I believe these technologies will change the trajectory of the precision irrigation adoption curve quite dramatically. In the final blog of this series, we’ll talk some more about the useful delivery of this technology, resulting in a realization of the chasm jump discussed in part one. Iteris, Inc. (Iteris) is the global leader in applied informatics for transportation and agriculture, turning big data into big breakthrough solutions to create better communities. We collect, aggregate and analyze data on traffic, roads, weather, water, soil and crops to generate actionable insights that lead to safer transportation and smarter farming. Municipalities and government agencies use our transportation solutions for safer and more efficient mobility. Crop science companies, farmers and agronomists around the world use our agriculture solutions for sustainable and more productive farming. Relevant and accurate weather and soil data and predictive analytics are among the most critical components to healthy crop growth, wherever crops are grown, anywhere in the world. Precision agriculture technologies, particularly irrigation technologies, are still trying to prove their worth to producers in a way that would make them willing to leave the old ways behind to explore these new technologies for field operations. What Roles Will AI And Machine Learning Have In Feeding The World? Models and data analytics not only recap what is already occurring between water and plants across expansive rows of corn, they can actually predict what will come in the hours, days and weeks ahead.